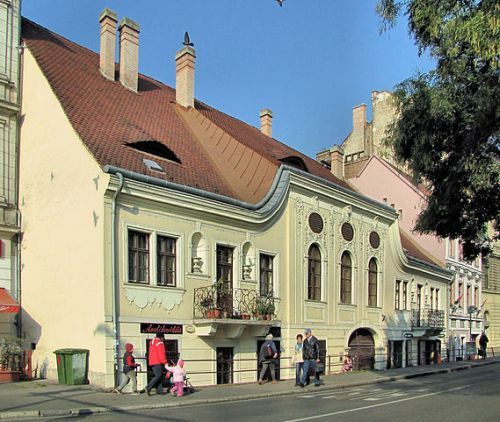 The former White Cross Inn is a Rococo style house from the 18th century that was one of the first inns in Budapest. It counts well-known personalities such as Casanova among its patrons.. The former White Cross Inn is a Rococo style house from the 18th century that was one of the first inns in Budapest. It counts well-known personalities such as Casanova among its patrons.